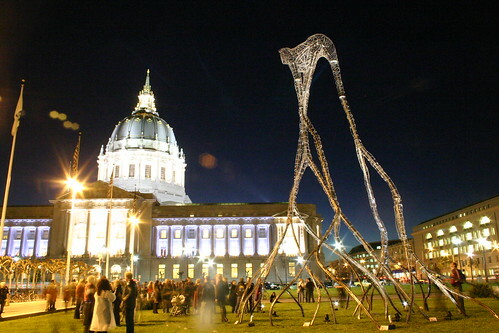 In conjunction with Mayor Gavin Newsom’s office, BRAF worked to bring Michael Christian’s Flock to Civic Center Plaza in San Francisco. 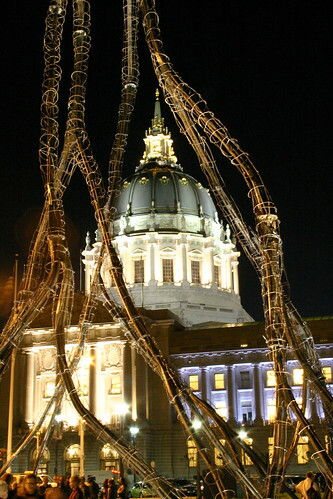 Flock at Civic Center Plaza, San Francisco, California. 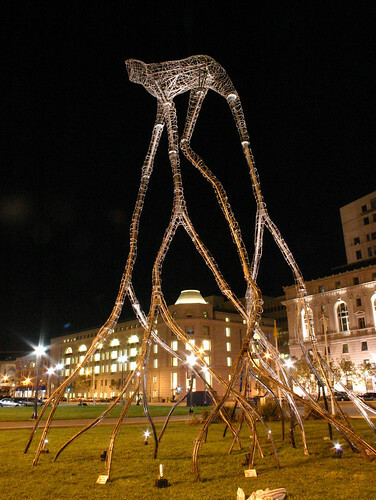 This 42-foot tall sculpture of welded-steel conjures both plant and animal shapes. 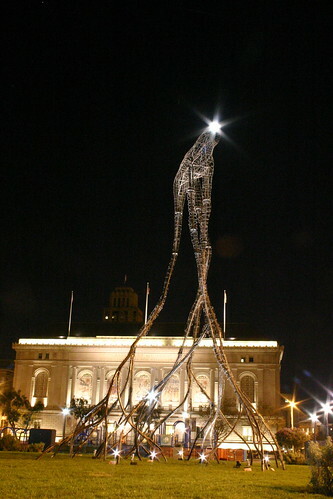 The form of an otherworldly creature seems to grow from its long, meandering limbs. Installing the work in such a prominent, public setting further punctuated its surreal character, creating new context for the piece. 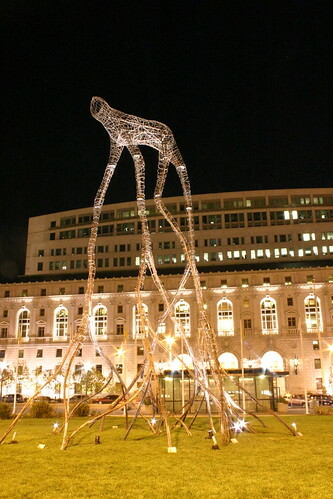 The piece was originally created for exhibition at the Burning Man event in 2001. To see photos of the dedication, visit Flock Dedication Photos/Laughing Squid. 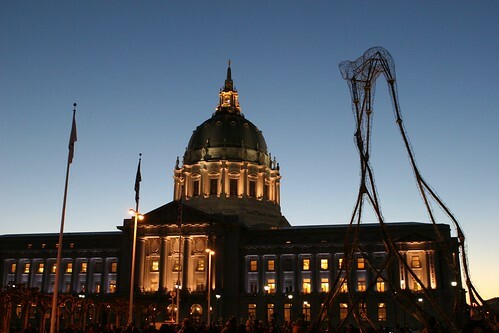 Flock at Civic Center Plaza, San Francisco, California. Photo by Scott Beale.